Nollywood actress Iyabo Ojo seems to be the only woman in Nollywood to put her hand in almost every business. The actress who started off with a beauty salon later ventured into spa business before she delved into Hospitality business with the launch of her Abula Spot restaurant and as we speak, she has started another business and this time around, she is gearing up to compete with one of her colleagues. The hardworking mother of two just opened a boutique at her Fespris World office. With smart businesswoman like Iyabo Ojo, Mercy Aigbe is in for a big competition. 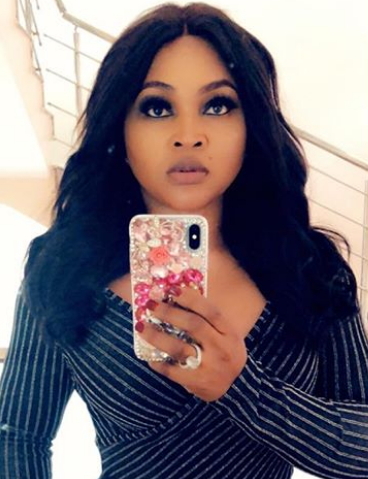 This explains why Mercy Aigbe quickly opened another branch of her Mag Diva’s boutique in Ibadan. To patronize Iyabo Ojo, visit her store at 15a Omorinre Johnson st off Busola Durosimi Etti str Lekki phase 1. For Mercy Aigbe, visit No 1, Adeyemo Akapo Street, Omole Estate Phase 1.
the truth is that MAG divas doesn’t have nice clothes. everything is just packaging. I’ve been there before.